An international team of scientists - recently returned from a 47-day research expedition to the middle of the Atlantic Ocean - have collected an unprecedented sequence of rock samples from the shallow mantle of the ocean crust that bear signs of life, unique carbon cycling, and ocean crust movement. Led by Co-Chief Scientists Gretchen Früh-Green (ETH Zurich, Switzerland) and Beth Orcutt (Bigelow Laboratory for Ocean Sciences, USA), both part of DCO's Deep Life Community, the team collected these unique rock samples using seabed rock drills from Germany and the UK - the first time in the history of the decades-long scientific ocean drilling program that such technology has been utilized. The aims of the expedition are to determine how mantle rocks are brought to the seafloor and react with seawater - such reactions may fuel life in the absence of sunlight, which may be how life developed early in Earth's history, or on other planets. The team also hopes to learn more about what happens to carbon during the reactions between the rocks and the seawater - processes that could impact on climate by sequestering carbon. "The rocks collected on the expedition provide unique records of deep processes that formed the Atlantis Massif. We will also gain valuable insight into how these rocks react with circulating seawater at the seafloor during a process we call serpentinization and its consequences for chemical cycles and life" stated expedition Co-Chief Scientist Gretchen Früh-Green. "During drilling, we found evidence for hydrogen and methane in our samples, which microbes can 'eat' to grow and form new cells," explained Beth Orcutt, Co-Chief Scientist from Bigelow Laboratory. "Similar rocks and gases are found on other planets, so by studying how life exists in such harsh conditions deep below the seafloor, we inform the search for life elsewhere in the Universe." The scientists are part of the International Ocean Discovery Program (IODP) Expedition 357, conducted by the European Consortium for Ocean Research Drilling (ECORD) as part of the IODP. 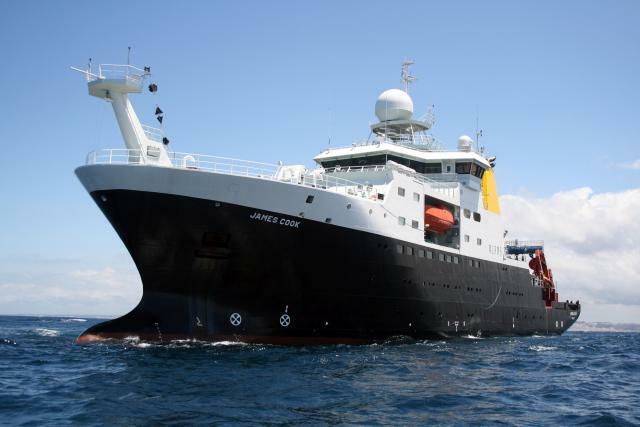 The expedition set off from Southampton, UK, on 26 October 2015, aboard the Royal Research Vessel James Cook (operated by the National Environment Research Council, UK), returning on 11 December 2015. They brought with them the Rock Drill 2 from the British Geological Survey and the MeBo rock drill from MARUM in Bremen, Germany, for around-the-clock operations to collect rock cores from the Atlantis Massif, a 4,000-m tall underwater mountain along the Mid-Atlantic Ridge. The rock drills were equipped with new technologies to enable the scientists to detect signs of life in the rock samples. 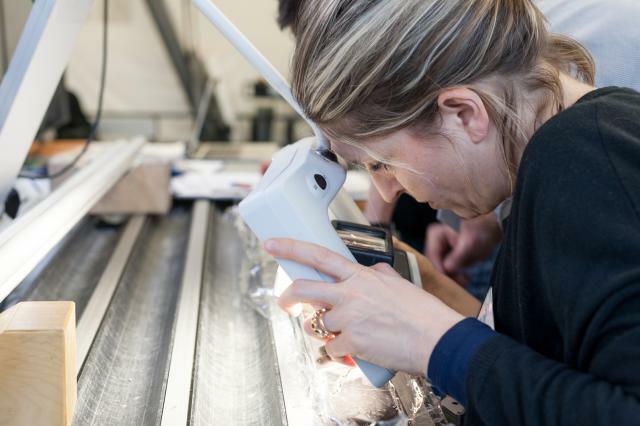 During the past two weeks, the science party has been studying the rock samples in detail at the IODP Bremen Core Repository in Bremen, Germany. The science party consists of 31 scientists (16 female/15 male) from 13 different countries (Australia, Canada, China, France, Germany, Italy, Japan, Korea, Norway, Spain, Switzerland, UK, USA), ranging from students to tenured professors. At the end of this sampling party, the first results of the expedition will be reported. Article adapted from Bigelow Laboratory for Ocean Sciences, USA. Source. Images: Top left: The RRS James Cook. Credit: National Oceanography Centre, Southampton / UK. Middle: Scientists examining rock samples in the labs of the Bremen Core Repository. Credit: V. Diekamp, IODP/MARUM.